Southington, CT WW/Press/July 18, 2016 –Eric P. Daigle, Attorney with Daigle Law Group, was selected for inclusion in the forthcoming Top Attorneys of North America 2016 edition of The Who’s Who Directories. 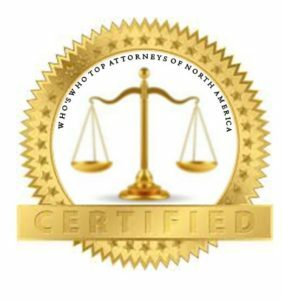 The accomplishments attained by Mr. Eric Daigle, in the field of Legal Services, warrants inclusion into the Top Attorneys of North America. Eric Daigle practices civil litigation in federal and state courts, with an emphasis on municipalities and public officials. His experience includes defending municipal clients in civil rights actions, including police misconduct litigation and employment actions, as well as premises and general tort liability. Attorney Daigle also defends the rights of officers charged with criminal acts, and has brought civil actions against those who have violated the legal rights of officers. He acts as a legal advisor to police departments across the country, providing legal advice to law enforcement command staff and officers in the areas of legal liability, internal affairs, discipline, policy drafting, employment issues, use of force, laws of arrest, and search and seizure. Eric received his J.D. from Quinnipiac College School of Law and is a Certified Litigation Specialist and Practitioner of Oversight. 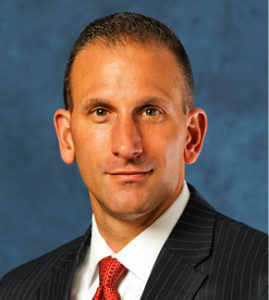 He is a member of the Connecticut Chiefs of Police Association, Connecticut Bar Association, National Association for Civilian Oversight of Law Enforcement (NACOLE), and the Americans for Effective Law Enforcement (AELE) Board of Directors. Be the first to comment on "Top Attorney – Eric P. Daigle"